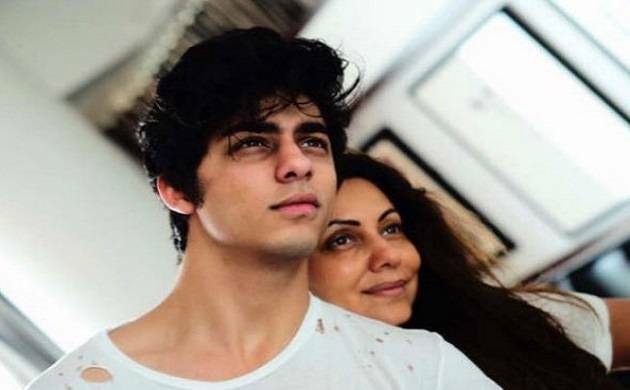 Gauri Khan is afraid to share picture of son Aryan Khan on social media! These days internet is going heavy on starkids on their public appearances and pictures shared on social media. This time it was Mom Gauri Khan, who shared picture of her eldest son Aryan on her Instagram account without his permission and his pic is making rounds over the internet. Everybody knows that Gauri Khan is quite active on social media, and especially Instagram these days. She keeps sharing pictures of herself with some B-Town friends such as Karan Johar, Kajol or Rani Mukherji. But this time she shared picture of Aryan and captioned it, “Posting an image …of my son without his permission… hope I don’t get fired’’. The caption clearly shows that Aryan doesn’t want their parents to share his picture over social media without his permission. Aryan Khan is few of those starkids who are reserved in nature and doesn’t like to pose much unlike his sister Suhana. On the study front, he is currently busy studying in a film school in Los Angeles and will soon make his debut in Bollywood. It is reported that he will be launched by his godfather Karan Johar.